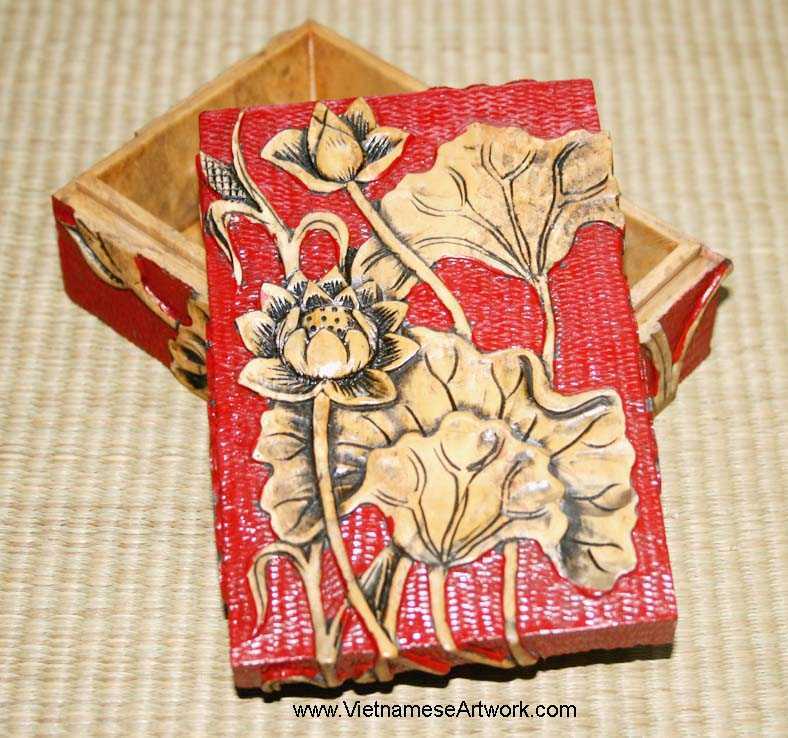 These boxes are hand made in Vietnam. They are hand carved and painted beautifully. 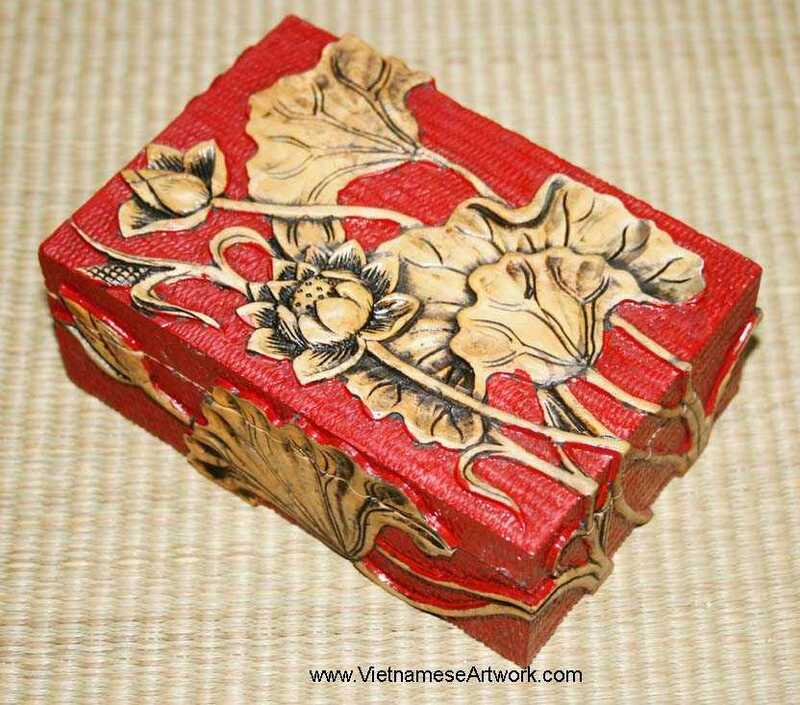 The wooden boxes are inlaid by bones (water buffalo).